Shanghai: Betting big on the burgeoning affordable handset market in India, Chinese telecom major ZTE today said it plans to set up a new R&D centre dedicated to mobile phones. The firm will also launch six new smartphones this year to tap the multi-billion dollar opportunity in India. ZTE will price the smartphones between Rs 7,000 to Rs 18,000 catering to entry, mid and high-end segments. "Depending on the local carrier, we would launch six devices in India, both 3G and 4G from entry level to high end category," Adam Zeng, Chief Experience Officer, ZTE Mobile Devices told PTI. For India, ZTE is adopting a hybrid market strategy by selling handsets in collaboration with the telecom operator and through open market channels. The company is in talks with 4G operators for handset bundling deals in the near future, but declined to name them. "We are very optimistic about potential of 4G in India and plan to launch a range of affordable phones to drive the ecosystem," Zeng said on the sidelines of ZTE Mobile conference here. According to ZTE Corp Head of Device Strategy Lv Qian Hao, "In the next three years, we would be among top five brand vendors of handsets in India." The company would also double its marketing and branding expenditure this year. 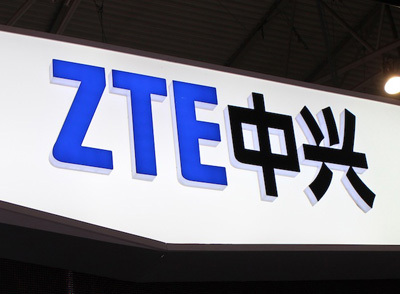 ZTE, which is China's second largest telecom gear maker, is also planning to set up a new handset R&D centre in India on the lines of its Shanghai facility. However, the Chinese firm declined to share any timeline or the planned investments on the project. "ZTE sees huge potential of handset business growth in India and is thinking long-term in terms of dedicated handset R&D centre for India," he said. The firm, which has 18 R&D centres across China, US and Europe, spends 10 percent of its revenue from handsets on R&D. ZTE is also bullish on expanding sales network in India. "We have teaming up with five regional distributors to support our pan India sales," Hao said, adding ZTE is also strengthening its after sales service support with the launch of "At Your Door Step" service. Under the new service, which will be introduced initially in some of the metros, faulty handsets would be replaced within 24 hours of the complaint. On physical retail, ZTE said it will open up to five more exclusive stores in metros by the end of this year. Its current flagship store is in Gurgaon. The firm is also partnering online sales avenues like Amazon, eBay, Flipkart and Snapdeal to sell its premium range of smartphones including Nubia. "We will sell our high end phone through our channel partners as Amazon, eBay, Flipkart and Snapdeal," Hao said. The company is also increasing its headcount in India by hiring more locals. "Our current strength in India is 1,500 of which Indians comprises 88 percent of the total staff strength," he added. ZTE's annual revenue in 2012-13 was USD 756 million. It is yet to announce its revenue for the 2013-14 fiscal. According to International Data Corporation, smartphone sales in India grew almost three-fold to over 44 million in 2013, buoyed by affordable devices made by local firms such as Micromax and Karbonn. In the first quarter of 2014, 17.59 million smartphones were shipped in India compared with 6.14 million in the same period of 2013.